From an early age, we continually evaluate relationships and where we sit in the social hierarchy. Are we one of the “cool” kids? Do our work peers value our opinions? Is our judgement trusted by management? Are we seen as “promotional material” or as “someone who needs a close eye kept upon them”? Monkeys, like humans, live in complex societies where social relationships have a huge impact on how successful they are. 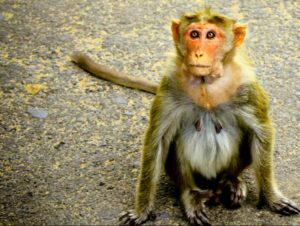 In a fascinating study published in March 2005 in the “Current Biology” Journal, researchers explored the way male rhesus macaque monkeys evaluated information. They discovered that the monkeys would miss out on rewards such as food or drink, in order to gain visual access to other individuals. Their purpose? To gain information about kinship, dominance and reproductive status that will help them better operate within their society. Social status is important for success, so what might we do to improve ours? Misery may love company, but company doesn’t love misery. We’ve all encountered the “perennial Eeyore” in the workplace. Glum, sarcastic and eternally pessimistic, their presence is a blight upon our spirits. No matter how empathetic we might be to the circumstances of their lives, they are hard to be around. Don’t be an Eeyore. Encourage others, be positive and look for how the situation has opportunity. I know it sounds hackneyed, however adopting a “can do” attitude is beneficial – not only to you but to others around you. In addition to contributing positive energy to the workplace, contribute helpful suggestions. Think about the sorts of things you say and consider their impact on the relationship. Are you providing useful information? Are you helping to build connections or are you gossiping or being a distraction? In essence, are you a hindrance or a help? What’s your objective – will the impact of your words on the relationship be a “lifting up” or a “tearing down”? Learn to appreciate others. Every aspect of our life connects to others even if we don’t speak to them. For instance, when we drive, we drive on roads built and maintained by others (thank you Main Roads). We follow road rules invented by others and adopted by society in general. We can’t do it alone! We are part of a complex society and need to appreciate that it takes all sorts to make it work. Previous: Our reaction to feedback is the single most important factor for success in life!